Interested in pursuing a more active lifestyle? That’s why there’s Garmin Activity Trackers. MedicAlert Foundation Canada partnered with Garmin, a leading manufacturer of fitness devices, so you can enjoy the peace-of-mind that comes with the most respected medical ID as you achieve your fitness goals. Reach new levels of personal fitness – MedicAlert is with you every step of the way! For immediate Emergency Responder recognition, your MedicAlert emblem is secured to the band. 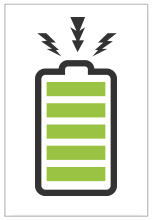 Get a year of activity tracking on one replaceable battery. The move bar and audible alert remind you to stay active. 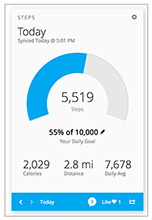 Track your progress to a healthier lifestyle online. 1. Who can benefit with the Garmin Activity Tracker? The Garmin Activity Tracker is ideal for anyone interested in getting more active. 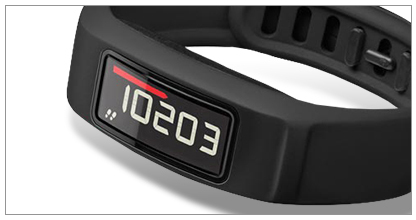 Its innovative features monitor your progress to better fitness, while keeping you on-track and motivated. 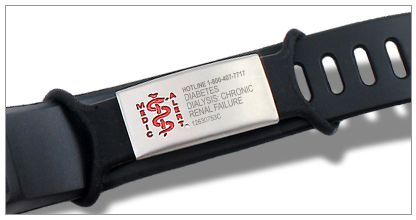 Of course, in addition to the benefits of a more active lifestyle, the MedicAlert emblem on the strap means you’ll enjoy the peace-of-mind that comes with carrying Canada’s most respected medical ID. 2. What’s unique about the Garmin Activity Tracker? Garmin has been a leading manufacturer of fitness devices, including wearable activity trackers like the vívofit®, vívomove®, vívosmart® HR+ and Approach®, for more than a decade. 4. Will my medical information be stored in my Garmin Activity Tracker? The Garmin Activity Tracker is specifically designed to track your physical activity and help you achieve your fitness goals, whether big or small. It will not store medical or personal information. The MedicAlert emblem on the strap of the Activity Tracker is your assurance that you’re protected in the event of an emergency. 5. How do I return my Garmin Activity Tracker? If you have any service issues or ever need to return your Garmin Activity Tracker for any reason, please contact us first. The attached MedicAlert engraved emblem will need to be removed prior to shipping. Please call customer service at 1-800-668-1507. 6. What if I have a technical question? For technical questions, visit garmin.com or call their Canadian customer service at 1-866-429-9296. 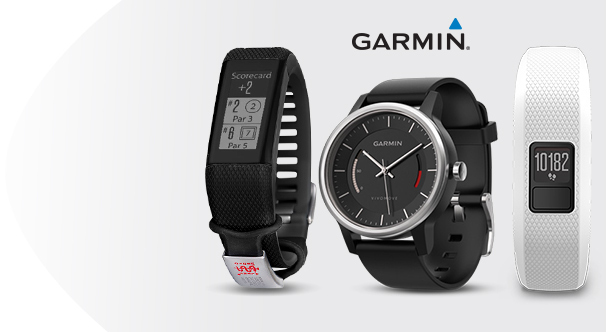 Order your Garmin Activity Tracker today!